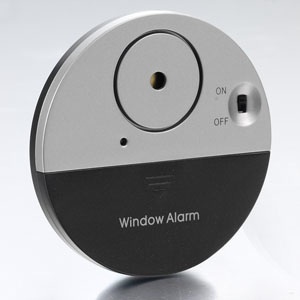 After our scare earlier this week I've taken the very good advice I received and am installing alarms on our windows. My favorite part of the alarms may be the fact that they came with stickers to put on the windows to warns of an alarm system! I've always thought of alarms as extremely expensive (not sure why!) and I was shocked when I started looking at them online and saw how affordable they were. Nani and Grumpa picked up some at Home Depot yesterday and we'll be installing them this afternoon! Excellent!!! You always want to make a burglar or other criminal think twice; they are usually going to look for the easiest "mark". I know what you mean about the stickers...sometimes that's all it takes, though a piercing alarm going off would make them think twice, too! Of course, the alarm might give you a fright once or twice, as these things sometimes just go off for no reason, but it really is a good move. God bless! So glad you have window alarms! I can't imagine how scary it was to see the window like that when you went in! Knowing that they're affordable, I may go get some for our own apartment when we move.